The bonnie banks of Loch Lomond, one of my favourite stops on the journey to Islay. 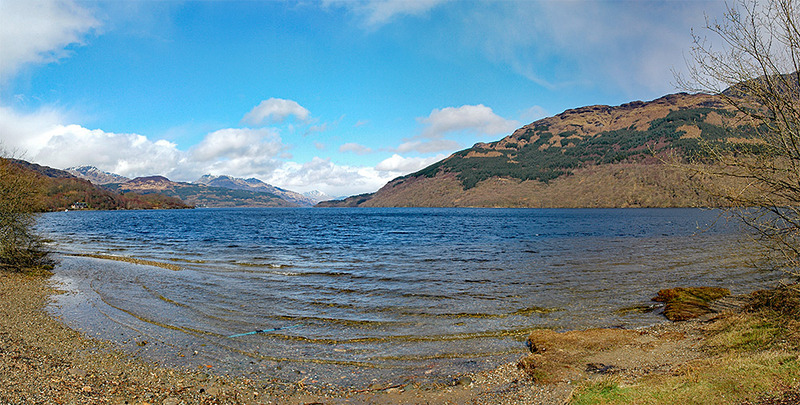 Here seen from Firkin Point on a bright April day, the Arrochar Alps with some last snow in the distance on the left. The foot of Ben Lomond on the right. This entry was posted in Beaches, Freshwater Loch, Landscape, Mainland journey, New Post, Sunny Weather and tagged Arrochar, Ben Lomond, Firkin Point, Loch Lomond by Armin Grewe. Bookmark the permalink.